Serving enduring consumer needs, not chasing the next technological feature, is the key to achieving unicorn status. The bubbly valuations of so-called ‘Unicorns’ have led many observers to predict a bloodbath as markets turn. Indeed, the fact that Square, once the darling of the disruptive payments space, now trades below its IPO price is one of many warnings. Some of these firms will make it, of course. But how do you pick which startups will thrive and which are headed for the dustbin? Perhaps the clearest indicator that a company has traction is when it addresses a real, enduring, unmet, customer need. The problem is that it’s not easy to know if they’ve indeed addressed those needs, in part because it’s hard to articulate what those needs are. That’s an issue that’s been debated for decades by two camps of business theorists. One side claims that customer needs are constantly evolving, guided by technological advances. The other says they stay pretty much the same. The recent success of Transferwise, a startup that has reinvented a centuries-old transaction system, goes a long way to closing that debate. But first, let’s consider the two sides of the discussion. Those who argue that innovation constantly changes what customers need tend to focus on the functions and features of products and services. Take photography: At one point, just being able to capture an image without hiring a professional photographer was exciting. Later, color photography, point-and-shoot functionality, and digital imaging all had “wow” moments in which customers’ behavior changed in response to innovations. This idea that the job of brands and innovators is to chase changing needs is embodied by something called the Kano system, a technique that companies use to predict customer responses to product features and functions. Getting those predictions right can be a question of life or death—Would you want to be the manufacturer of point-and-shoot cameras in today’s smartphone world?—and many companies have foundered when they missed customer needs that shifted in technological terms (i.e. Blackberry and Nokia). The camp of constant consumer needs sees this from the exact opposite vantage. They’d note that what customers wanted in the days of the first cameras and what they want in the Instagram era are not that different. We want to be able to capture images, save them, and show them to other people. One of the leaders of this camp, business guru Clayton Christensen, describes the process of unearthing customer needs—whatever the technology used to address them—as discovering the “job to be done” by a product or service. From this perspective, customers aren’t so much paying attention to product features as trying to accomplish certain tasks. Consultants like those at Christensen’s firm Innosight use this idea to identify opportunities when a job could be done more conveniently, quickly, or inexpensively. If you think about it, the needs for transport, housing and goods were around for thousands of years before we had Uber, Airbnb or Amazon. They just fulfill those needs more conveniently, quickly, and inexpensively. Their features in themselves are not the question. This brings us to the reinvention of an ancient practice by a very modern startup. In the Middle Ages, traders wishing to avoid being robbed by bandits relied on a trust-based money transfer practice known as Hawala. In this system, a party wishing to send money contacted a Hawalador and made a payment at the point of origin. When time came to receive the payment, the Hawalador (who earned a commission) contacted a trusted counterparty in the destination, and that partner made the payment. The key point is that there was no actual exchange of currency between the two parties. Each received and made payments in his or her territory, with the debits and credits of the transfers generally balancing out. Breaches of trust were treated harshly. The customer need here is to be able to deposit money at place A and have it arrive at place B without having to physically move it. That “job to be done” hasn’t changed in centuries, but solving it has been made infinitely more efficient by modern communication technologies. Here’s where the startup Transferwise comes in. The brainchild of two Skype co-founders who found themselves spending a small fortune transferring money between the U.K. and Estonia, Transferwise matches people who need to make a transfer with those who have money in the destination. Say a person is in the U.K. with British Pounds needs to make a payment in Polish Zlotys. The conventional solution is to use a bank to convert the money and wire it to its destination, often for a hefty fee. What Transferwise does instead is facilitate a local exchange. The person in the U.K. pays Transferwise in Pounds, but the money is not actually sent to Poland. Instead, Transferwise matches the Polish recipient with another Transferwise customer in Poland who wants to transfer Zlotys out of the country. Just as with Hawala, no funds actually move across borders. This allows Transferwise to charge far less than banks. The company, which began offering its service in 2011, now accounts for 2% of all U.K.-based global remittances, transferring $760 million every month. 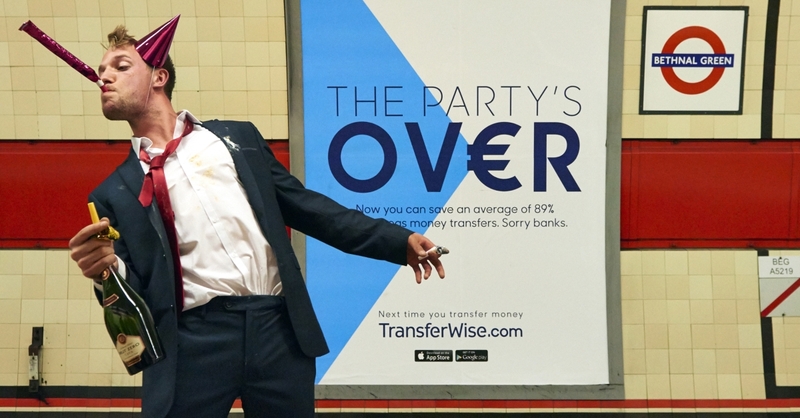 Today, Transferwise is poised to revolutionize its corner of the banking industry. And yet, the need being addressed has existed since money itself existed. It just does that job better. And so for investors, the question to ask of the current crop of unicorns is whether they are, indeed, solving a timeless problem…or simply chasing the next generation of features and functions.